DROPS Cotton Merino is a combination of exclusive merino wool and beautiful, long Indian cotton fibers. 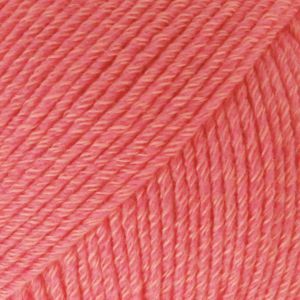 The yarn is very pleasant to work with and provides comfortable garments with clear and regular stitches. The wool is Superwash treated and very gentle on the skin, which makes it suitable for baby and children's clothing. As in all our merino yarns, the merino wool originates from free-range animals in South Africa and South America.